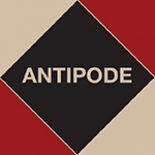 Today we sent Antipode volume 47, number 3 to the publishers. All of the papers, bar two, are already available online, and will be brought together as a collection in the June 2015 print edition. Buenos Aires Beyond (Homo)Sexualized Urban Entrepreneurialism: The Geographies of Queered Tango by Miguel Kanai (University of Miami). Merav Amir (Queen’s University Belfast) and Hagar Kotef’s (Tel Aviv University) Limits of Dissent, Perils of Activism: Spaces of Resistance and the New Security Logic focuses on the shooting in December 2003 of an Israeli activist by the Israeli Army at a demonstration organised by Anarchists Against the Wall. Their paper examines the conditions that made this event, and similar shootings that followed, possible, situating the activism of AAtW in a context of securitisation. Ståle Holgersen’s (Lund University) Economic Crisis, (Creative) Destruction, and the Current Urban Condition investigates the contemporary crisis through the lens of different, often competing Marxist crisis theories and other approaches developed in human geography. Both, he argues, have something valuable to offer to those thinking within and beyond the current conjuncture. Not yet available on Early View, Maria Kaika (University of Manchester) and Luca Ruggiero’s (Università di Catania) Class Meets Land: The Social Mobilisation of Land as Catalyst for Urban Change analyses the “active yet neglected” role of local class struggle over land in negotiating new forms of urbanity, demonstrating how “local struggles over land are as relevant to globalised urbanisations as they were to industrial capitalism”. From their historical geography of the Pirelli company, its workers, and its Milan industrial space from the 19th century to the 21st, local class struggle emerges not as the outcome of, but as a condition for urban restructuring. Alice Kelly’s (University of California, Berkeley) The Crumbling Fortress: Territory, Access, and Subjectivity Production in Waza National Park, Northern Cameroon investigates the rise of a new era in biodiversity conservation – and the consequences for older protected areas that lose funding and management and risk becoming open access spaces. Kelly mobilises work on territory and subjectivity in this study of the costs and benefits, gains and losses, as a conservation “fortress” crumbles. Margaret Marietta Ramírez’s (University of Washington) The Elusive Inclusive: Black Food Geographies and Racialized Food Spaces evaluates efforts to make a community food project more inclusive to “vulnerable populations” and thus increase participation. Assessing how power asymmetries are (not) addressed in different organisations, the paper looks at their historical-geographical imaginations and how knowledges of slavery and dispossession can inform progressive activism today. Jennifer Spiegel’s (Concordia University) Rêve Général Illimité? The Role of Creative Protest in Transforming the Dynamics of Space and Time During the 2012 Quebec Student Strike takes us to the spring of 2012 and student strikes against proposed tuition-fee increases. The paper brings together scholarship on protest tactics and the role of space to analyse a range of creative and affective interventions as well as the debates that emerged concerning their role within the movement. Finally, Andrew Zitcer’s (Drexel University) Food Co-ops and the Paradox of Exclusivity examines how consumer food cooperatives wrestle with the exclusions that often accompany efforts to create conditions for a strong identification among members. What food co-ops sell, their business practices, and how they market themselves to potential members are scrutinised, and Zitcer concludes that overcoming “the paradox of exclusivity” requires moves towards affordability, accessibility, and reflective practice. Natalie Oswin, one of our editors, has a special issue out with Antipode called “World, City, Queer.” Check it out! This entry was posted on 21 January 2015 by Antipode Editorial Office in News and tagged activism, architecture, Buenos Aires, class struggle, co-operatives, conservation, creative destruction, crisis theory, exclusion, food geographies, homonationalism, India, Israel-Palestine, LGBTQ, Manila, New York, pinkwashing, postcolonial cities, Quebec, queer politics, racialization, risk calculation, securitization, student politics, tango, territory, the Olympics, transnational rights, urban change, waste.